The walkability of Tyvek® Protec™ is best-in-class. From the grip under foot to the grip to the roof deck, contractors will see, feel, and experience the differences from other roofing underlayments the moment they install the first roll. 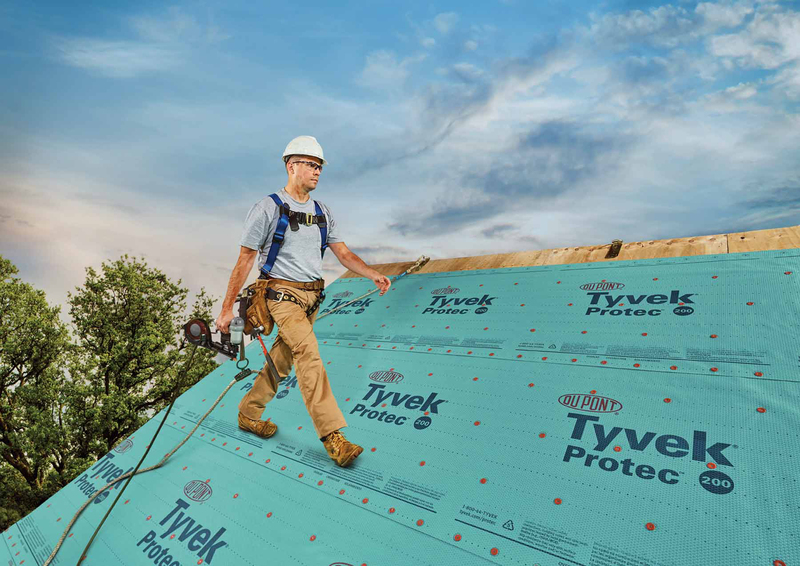 DuPont Protection Solutions today announced the launch of a new line of roofing underlayments, DuPont™ Tyvek® Protec™, part of the Tyvek® family of building envelope products. 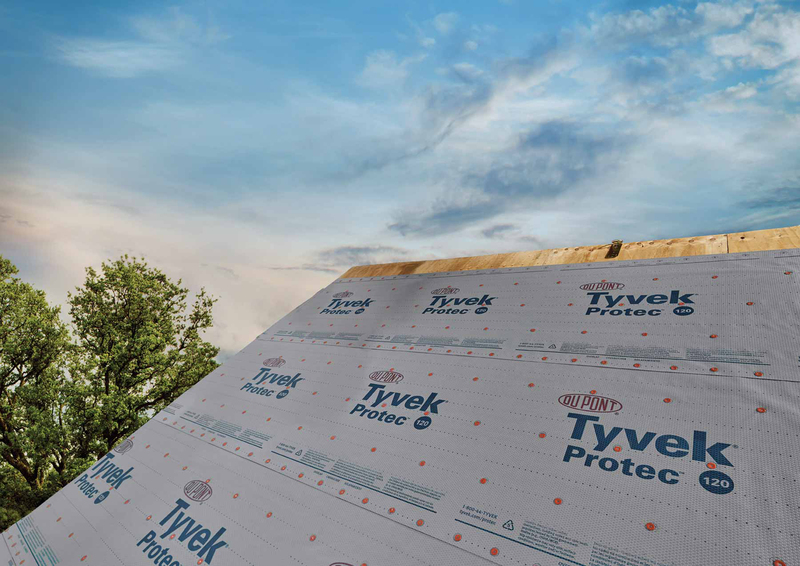 Tyvek® Protec™ is suitable for use by professional roofing and exteriors contractors in new construction or re-roofing projects as a secondary water barrier on steep-sloped roofs (2:12 or higher) under asphalt shingle, tile, metal, cedar or slate. Tyvek® Protec™ is offered in a variety of product grades: Tyvek® Protec™ 120; Tyvek® Protec™ 160 and Tyvek® Protec™ 200; each with increasing quality, durability, strength, warranty protection and UV resistance. 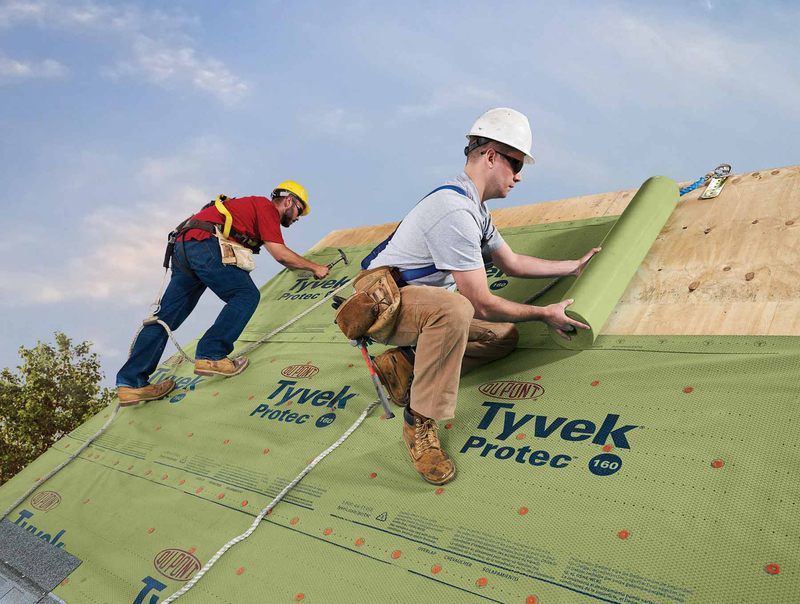 With its industry-leading walkability, Tyvek® Protec™ enables effective installation regardless of weather conditions – dry, wet, hot, cold or dirty. In addition, Tyvek® Protec™ lays flat and is wrinkle-free, for ease of installation. It is easy to chalk, and is available in the United States and in Canada from local lumber and roofing dealers. For more information, visit: http://www.tyvek.com/protec. DuPont Protection Solutions is a global leader in products and solutions that protect what matters – people, structures and the environment – and enables its customers to win through unique capabilities, global scale and iconic brands. DuPont™ Kevlar® helps protect law enforcement officers, military personnel, athletes and astronauts; DuPont™ Nomex® helps protect firefighters, industrial workers and race car drivers, as well as mass transit and wind energy systems; DuPont™ Tyvek® helps protect chemical industrial workers, as well as sterile medical devices and building construction; and DuPont™ Corian® resists the growth of bacteria to help protect hospital patients against infection. For more information about DuPont Protection Solutions visit: http://www.dupont.com/protection-solutions. The DuPont Oval logo, DuPont™ and all products, unless otherwise noted, denoted with ™, ℠ or ® are trademarks, service marks or registered trademarks of E.I. du Pont de Nemours and Company or its affiliates.